Available in Printed Nylon and Applique Stitched All-weather Nylon Fabric. Please allow 2-3 week turn-around time. 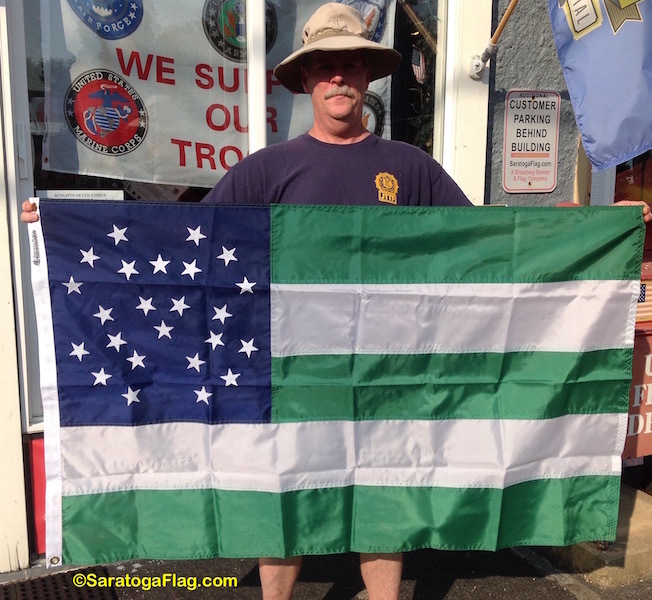 The official flag of the New York City Police Department (NYPD), first created in 1919. It is flown outside precincts and other NYPD buildings. 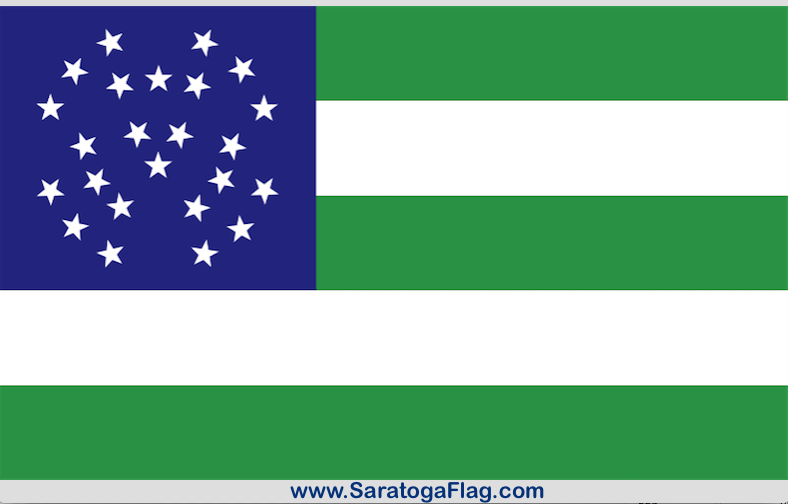 It bears five alternating green and white bars, representing the five boroughs of New York City; Manhattan, Brooklyn, Queens, Staten Island and the Bronx. There are 24 white stars on a field of blue in the left corner of the flag. The blue field represents the Police Department. Twenty-three of the stars represent the separate towns and villages that became part of New York City under the Consolidation that took place in 1899. The 24th star represents New York City itself. Of those towns and villages that became part of New York City in 1899 (creating "Greater New York"), 18 had separate police departments that became part of the NYPD. The flag is in the public domain due to the simplicity of its design and its age.